As the good news of higher island fox populations is coming in from across the California Channel Islands, the crisis of extinction seems to be past. The challenge of the future comes in monitoring recovering populations. To that end, Friends of the Island Fox is proud to announce the funding of our 33rd radio tracking collar. This collar will go on a fox on Santa Catalina Island and be monitored by the biologists with the Catalina Island Conservancy. Radio tracking collars have proved to be the best way to monitor large segments of the island fox population. 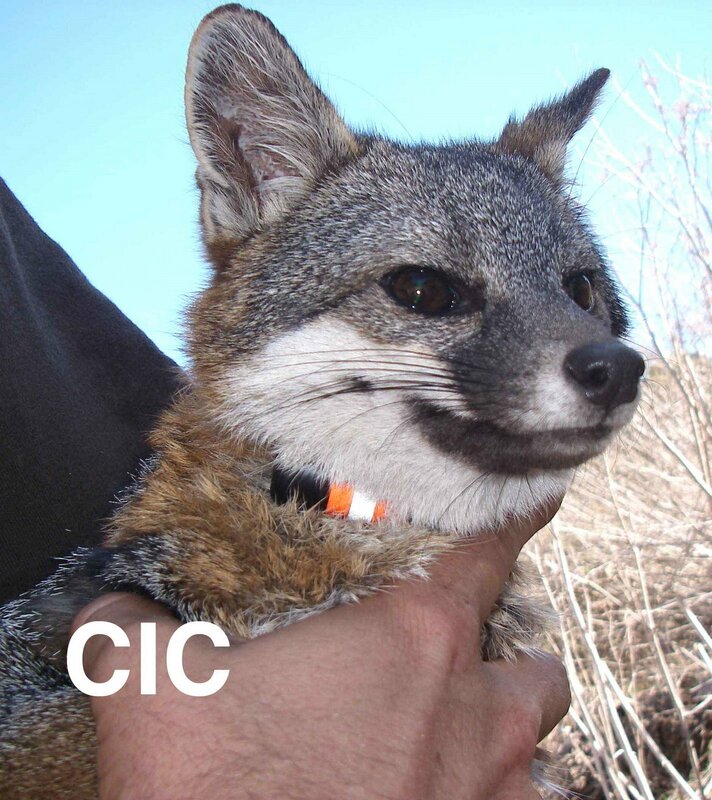 Whether biologists are on the ground tracking the “beep” with a hand-held antenna, flying over in a small plane, or reading data from an automated system, the radio collar on the individual island fox provides valuable information. Locating individuals: Each collared island fox has its own radio frequency. 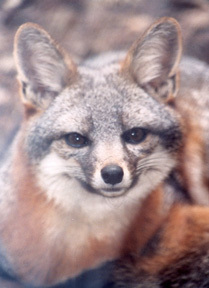 In the case of an emergency, like the Catalina Fire, surviving individual foxes can be located quickly by airplane fly over. The status of a large amount of the population can be determined in a short amount of time. If a collared fox is seen with an injury, biologists can locate the individual via its radio collar and specifically set trap cages to catch that one fox. This makes medical care more efficient. Health care in the field: Biologists can track a recovering island fox, like the little female that was burned in the 2007 Catalina Fire. Burnie Boots. Being able to watch from a distance allows the patient to return to a wild lifestyle. Mortality signals: If an island fox is completely still for six hours, the radio collar will give off a special “mortality” beep. This allows biologists to locate an island fox that has died. Necropsy, or study of the dead body, can quickly determine cause of death. Island Fox CSI. If an island fox has been killed by a golden eagle, died of disease, or gotten trapped in a man-made facility, actions can be rapidly taken to safeguard the rest of the island fox population on that island. Each collared island fox is an important link in a vital monitoring network. Each radio collar costs $250. Your donations have helped to fund 33 radio tracking collars. Thank you for helping to make a positive difference. The numbers are gradually coming in from the biologists on the six Channel Islands that are home to the island fox. On the four islands where island foxes are endangered, San Miguel, Santa Rosa, Santa Cruz, and Santa Catalina, the populations continue to increase. Each autumn, island foxes are counted by trapping them in specially designed containment traps. This allows biologists to determine the number of island foxes on each island, check their health, give them vaccinations for distemper and rabies, and fit radio tracking collars. For more on Health Checks on Catalina Foxes. 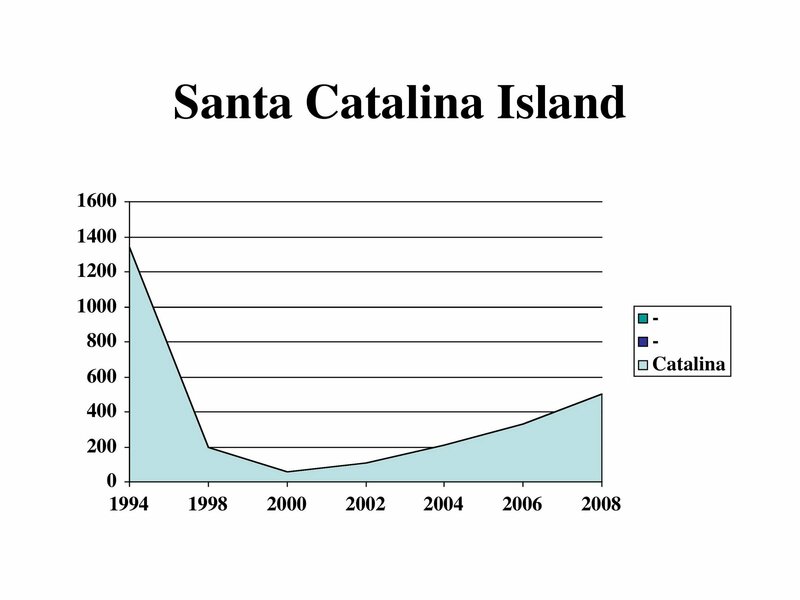 Last year the number of island foxes physically counted on Santa Catalina Island was 365. This year over 500 have been individually counted! 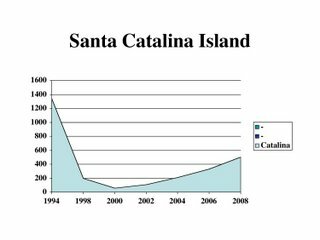 Endangered island fox populations are recovering successfully on all four islands, but we still have a long way to go to reach the population numbers before disease struck Santa Catalina Island and ecosystem imbalance resulted in golden eagles hunting island foxes on the northern islands. Why are island foxes endangered? Island fox recovery has been possible because of broad reaching conservation efforts on their behalf. You can Donate by clicking on the PayPal or Network for Good buttons at the top right corner. Stay Linked In. As soon as the final population numbers are available, we will post them here on the Friends of the Island Fox website. For detailed information on each island fox population as well as research summaries, video and podcasts - Click on the Library button in the directory bar.